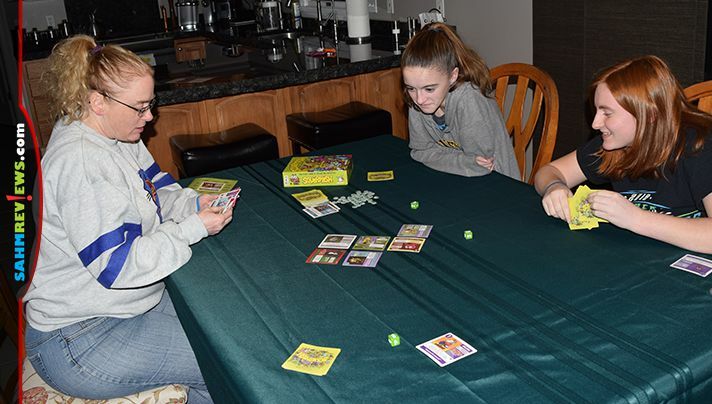 We’ve played a lot of card battle games over the years. 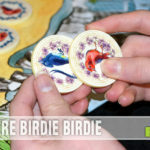 While the theme generally varies from one to the next, the mechanics of these games are very similar. Sometimes we’re battling as as a team of Legendary characters or maybe trying to defeat bad guys in a dungeon, Other times, we’re fighting against each other as mythological personalities, custom hero cards, windup toys, battlegoats, Marvel superheroes or any number of pixel characters. These games primarily use cards (hence their classification as card games), sometimes incorporate dice and generally have some way to keep track of how many hit points characters have. Seldom do I open a card battle game box and go, “Hmmm. That’s a cool component.” But that’s what happened when I opened Squirmish from Gamewright. The name by itself should have been an indication of how quirky this game would be. 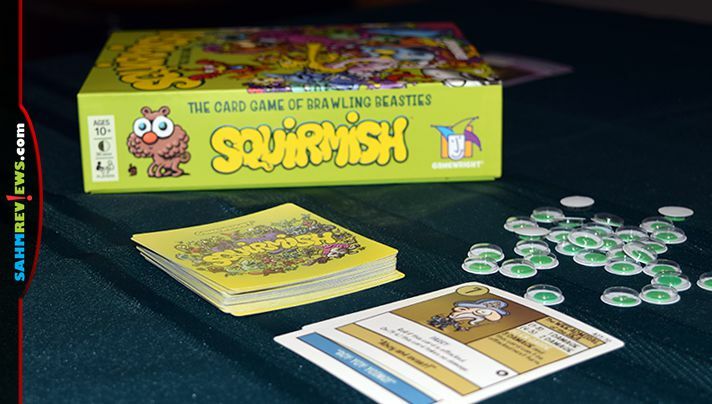 Squirmish is a fun play on the word skirmish, a humorous touch by the designer that runs all the way through the rule book and artwork. Oh, and those game pieces that caught my attention? Googly eyes. You know, like the ones we added to our DIY Rock Ladybugs! While most games of this genre utilize a hit tracker wheel or something representing a heart to track the life points of a character, Squirmish does so with googly eyes. Can you *see* how that can help the game stand out from the crowd? On your turn, you’ll take up to 4 actions: (1) Attack, (2) Resolve any abilities, (3) Place (or move) a card and (4) Draw a card. 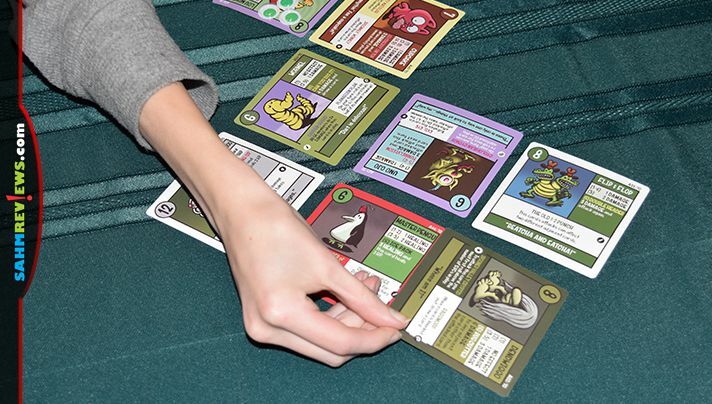 To begin the game, players secretly select a card from their hand to seed the starting battle ground. The character with the lowest hit points places their card first then play continues in clockwise order. 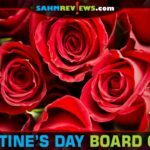 You’ll place your card facing you but orthogonally adjacent to an existing card. To attack another player, you’ll begin by specifying which of your cards will attack another then declaring the name of the opponent’s character that is adjacent to your attacker. Roll your die to reveal what your action is based on the basic attack noted on the card. Place hit counters on the card as appropriate or remove hit counters if you were healing. When you’ve completed the attack phase, you’ll resolve any special or group abilities as noted on the card. Group abilities take effect when members of the group are anywhere in the battleground, even if they’re owned by another player. You are allowed to have up to five cards in play at any time so as your third action on your turn, you may opt to add another character to the fight. You may also opt to replace a damage-free card in play with another from your hand. The card that is removed from the board is sent to the discard pile. As an alternative to action #3, you may move one of your cards by swapping it with an adjacent card. As a final step on your turn, you may opt to draw a card. There is a five card hand limit so you must discard one immediately any time you exceed five cards. 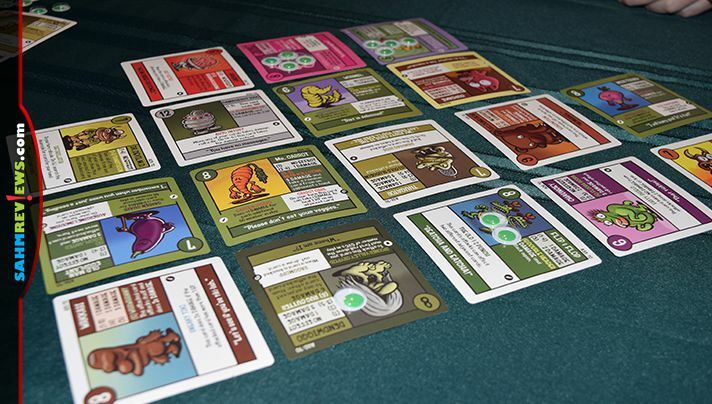 Squirmish is a battle game, so naturally characters are going to lose on the battlefield. 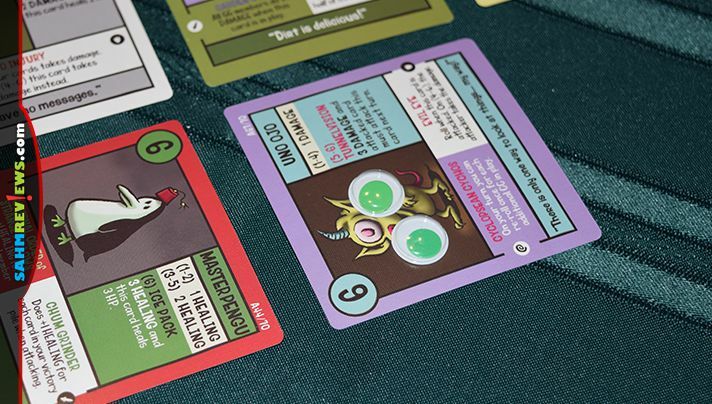 If a card has hit counters (you know, the googly eyes) equal to or greater than the hit points, it’s knocked out. If you happen to cast the killing blow on an opponent’s character, you collect their card from the board and place it in your victory pile. If a battle knockout results in cards being disconnected from the play area then cards must immediately be re-attached. No loners or outliers in this Squirmish! The first player to collect three card wins. 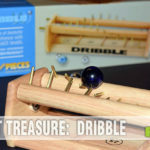 While the box recommends it for players 10 and up, we think younger players who can read are capable of playing as well. The cards have a lot of text that indicate what they are able to do so being able to read and select the best cards to support your current team will be crucial. You’ll also need to remember what cards you have in play since some abilities take effect even when it isn’t your turn. 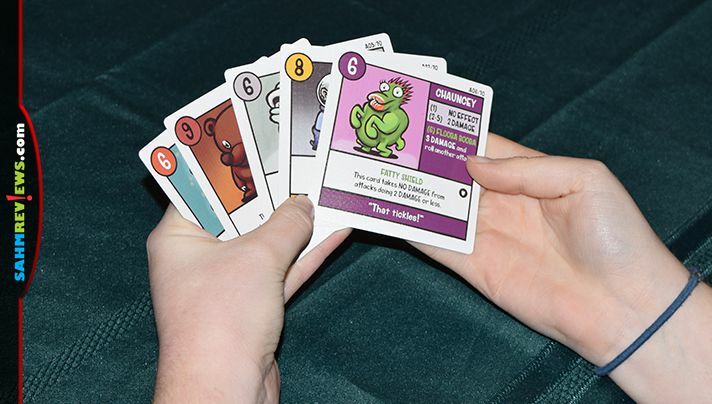 Overall, humor gives Squirmish a unique take on the standard card battle game. Oh, and the googly eyes are a creative addition as well. 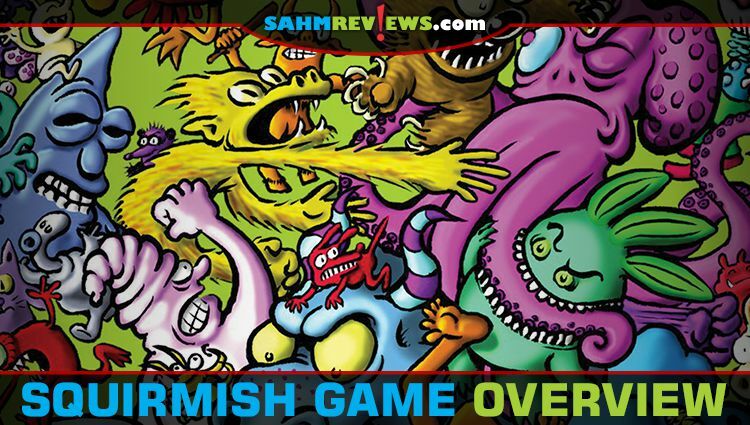 Your wallet won’t argue about copies of Squirmish on Amazon running under $12. You can also get it direct from Gamewright. Follow them on Facebook and Twitter to see what other humorous and entertaining titles Gamewright has in the works. Can you think of any game that had an unexpected surprise in the box? 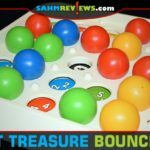 I have never heard of this game but it does look like a lot of fun!